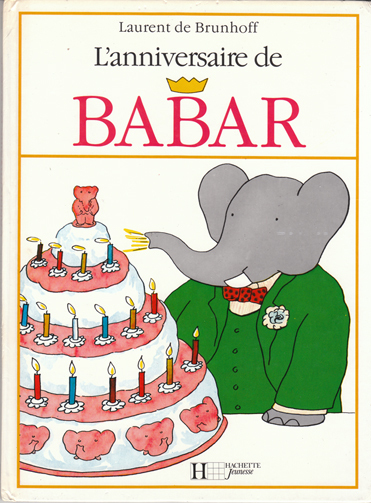 Description: Everyone's favourite elephant celebrates his birthday in this charming book. Brunhoff's delightful colour illustrations grace every page, along with his handwritten text. Illustrated pastedowns depict a 'train' of elephants holding onto one another's tails with their trunks. Glazed pictorial boards. Lovebites along top. Spine and corners bumped. 'Invisible' scratches. Pages creased from handling; a few insignificant stains on a handful. Otherwise all are in very good, unmarked condition. Measures 26 cm × 19.5 cm (10.4″ × 7.8″). 4to. Unpaginated.